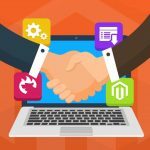 In the following post, we’d like to draw your attention to the Exto.io Dropshipping Magento 2 extension. Although this tool is still in beta version, you can already try it. The Magento 2 module will be released soon and we will update the post with additional information about it. Below, you can check what we already know about the solution. More drop shipping Magento 2 modules are available here: Magento 2 drop shipping extensions. If you want to eliminate inventory housing and annoying logistical pitfalls, dropshipping is the solution developed to solve this problems. It allows to create a storefront that works with remote warehouses. As for the Exto.io Dropshipping Magento 2 module, it suits best for launching a Magento 2 storefront with the corresponding component; running a dropshipping business; or enrich the existing supply chain. Install the extension, and it will synchronize inventory and stock level information automatically keeping everything up to date. Thus, you eliminate human factor from your business routine or at least essentially decrease its influence on the inventory management. As a result, you catalog is always updated keeping the amount of items up to date. Both current warehouses and product statuses are monitored and updated without any human intervention. The multi-warehouse support makes the Dropshipping Magento 2 module a must have solution for any business that wants to accept a new inventory model. 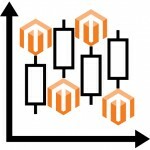 As a Magento 2 administrator, you can create all possible combinations of stock processing parameters. In addition to locations, the tool allows to manage shipping rule and pricing rates, making your delivery options as flexible as possible. 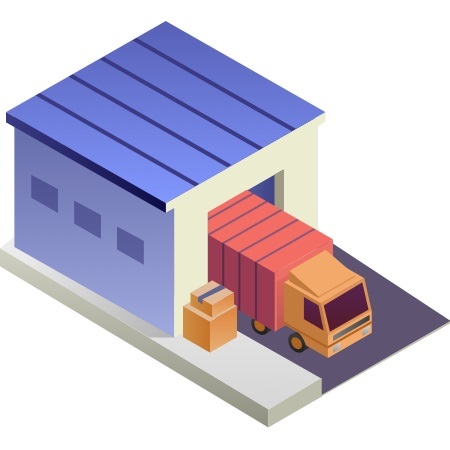 And the availability of multiple distribution centers is a vital feature if you are selling in different regions: find a warehouse in each region providing customers with the fastest delivery and constant availability of goods. As for the customer side of the Exto.io Dropshipping Magento 2 extension, it allows to implement a reliable delivery tracking system in which a buyer gets access to all order processing stages including PO (purchase order) status updates. Thus, you get more satisfied and loyal customers since nobody is left in ignorance. Furthermore, if an order consists of several items these items can be delivered from different warehouses. This feature helps to solve the problem when the nearest warehouse has a zero quantity of certain items from the order. The Exto.io Dropshipping Magento 2 module splits the order between multiple stocks automatically. From the backend perspective, the tool allows to manage shipments in a more efficient manner as well as automate order submissions. A warehouse supplier only needs to approve a purchase order to trigger automated shipment creation. As a result, organizational and logistics obligations are skipped, since a distributor is responsible for them. Note that all the required shipment details are provided to both a merchant and a customer, orders are tied to corresponding shipments, which in their turn display such data as a warehouse, a delivery method, and tracking information. Notification abilities are supported as well. As for automatic order submission, the Exto.io Dropshipping Magento 2 extension provides two options: supplier orders can be fulfilled automatically or get a pending status which allows you to make sure the items are available for the delivery. As a result, order processing starts right after the successful checkout or can be delayed for checking all the necessary criteria. Before we finish the theoretical part of the post, it is necessary to tell a few more words about payouts management and purchase orders. The Exto.io Dropshipping Magento 2 module supports instant payouts for merchants. Alternatively, it is possible to process transmissions within a certain amount of time splitting payments on daily, weekly, or monthly basis. Custom time intervals are possible as well, adding an extra layer of flexibility to your relations with suppliers. Of course, the backend interface provides appropriate detailed stats and their analysis. Purchase orders can be also managed with this Magento 2 extension. You can send them to warehouses before queuing orders for the delivery.Note that orders can be approved both completely or partially depending on various conditions (we’ve just illustrated this feature above).As a Magento 2 merchant, you get the ability to completely control and update PO processing at any stage.